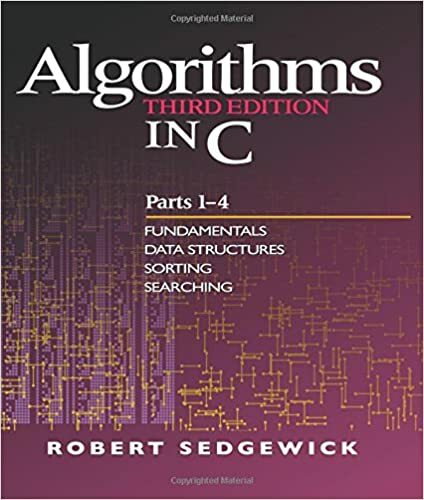 "This is an eminently readable book which an ordinary programmer, unskilled in mathematical analysis and wary of theoretical algorithms, ought to be able to pick up and get a lot out of.."
Robert Sedgewick has thoroughly rewritten and substantially expanded his popular work to provide current and comprehensive coverage of important algorithms and data structures. Many new algorithms are presented, and the explanations of each algorithm are much more detailed than in previous editions. A new text design and detailed, innovative figures, with accompanying commentary, greatly enhance the presentation. The third edition retains the successful blend of theory and practice that has made Sedgewick's work an invaluable resource for more than 250,000 programmers! This particular book, Parts 1-4, represents the essential first half of Sedgewick's complete work. It provides extensive coverage of fundamental data structures and algorithms for sorting, searching, and related applications. The algorithms and data structures are expressed in concise implementations in C, so that you can both appreciate their fundamental properties and test them on real applications. Of course, the substance of the book applies to programming in any language.